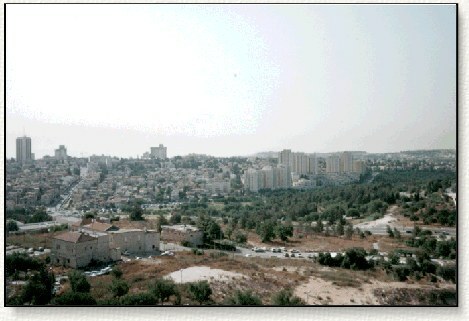 New Jerusalem during the day. From the top of Mount of Olives looking down on Old Jerusalem. The Old city wall can still be seen. 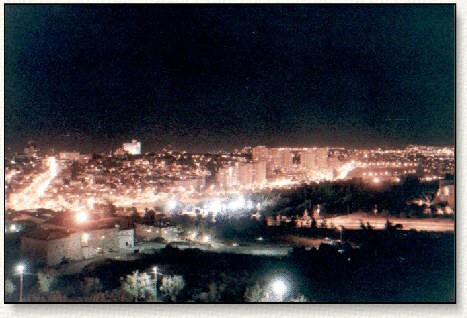 The Dome of the Rock (copper colored building) is seen on the upper left. 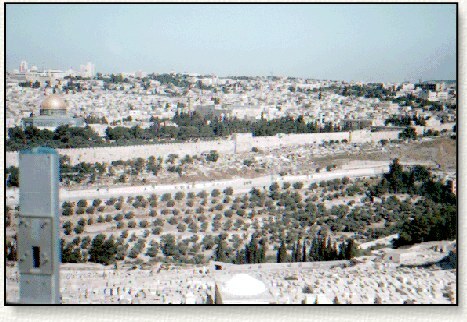 Looking down the Mount of Olives, you can see the old city wall. 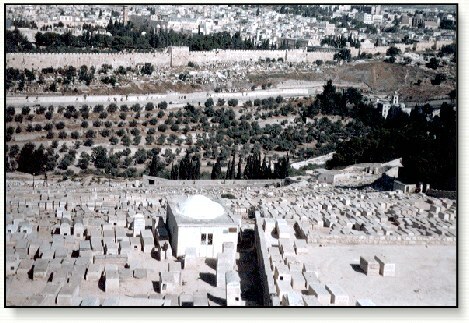 The Mount of Olives is covered with a Jewish grave yard.